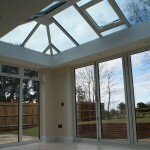 Modern orangery, uPVC windows, aluminium windows and aluminium bi-folding doors. 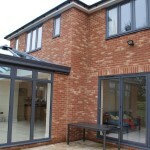 All grey. Sutton Valence, Kent. 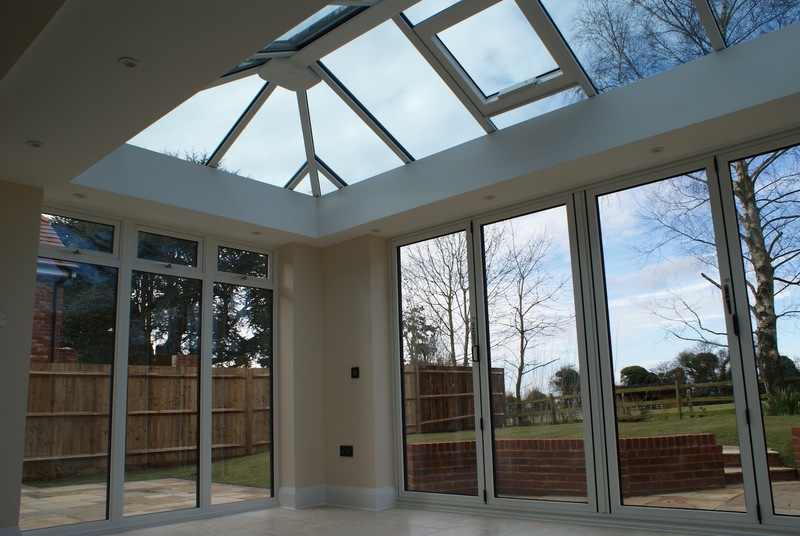 This modern orangery project in Sutton Valence, Kent, is technically speaking, half commercial and half residential. 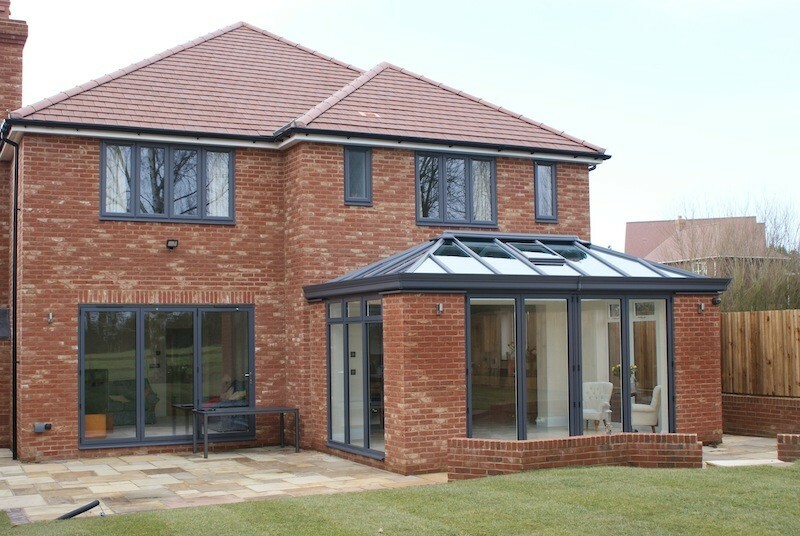 A loyal commercial customer of ours builds high-end residential houses all across Kent and we install all of their windows, doors, conservatories, orangery and skylights for them. 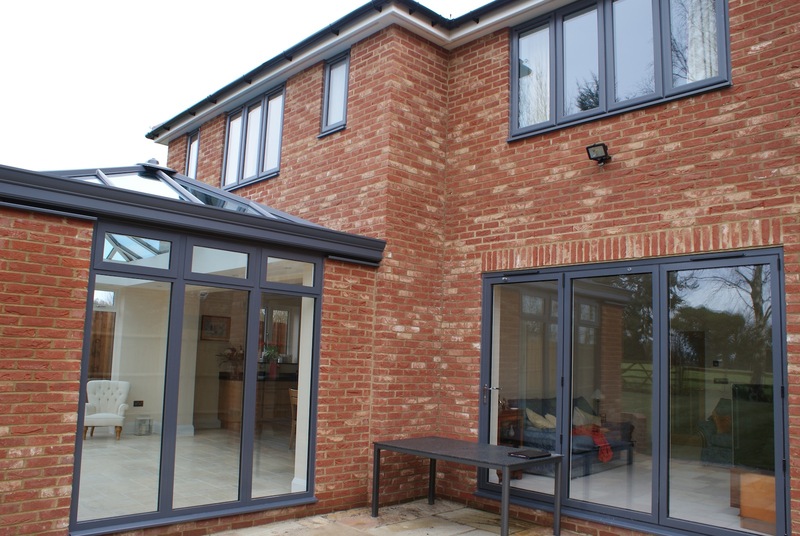 The design of this property’s grey uPVC windows and colour-matched aluminium bi-folding doors was decided early on by the house builder. 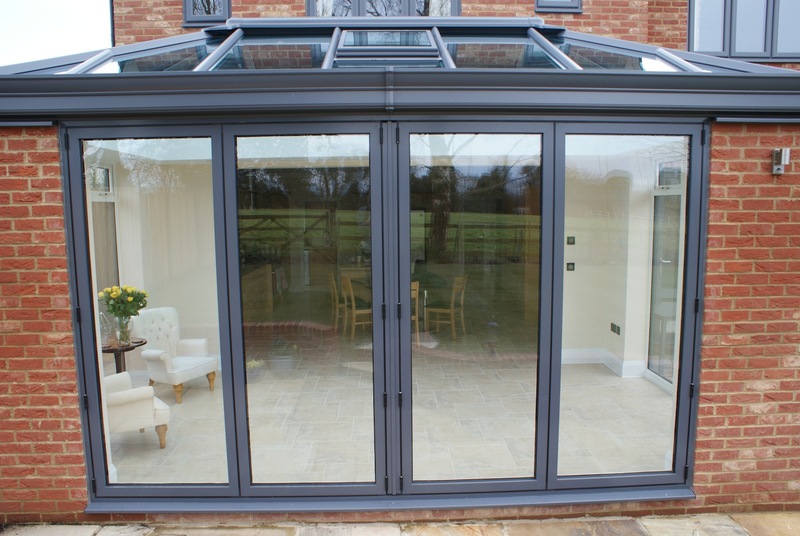 Closer to the end of the build, the customer buying the property then wanted to give the property their own twist, by adding an orangery onto the back of the property to extend out their kitchen and dining space into the garden to create a light and warm place. 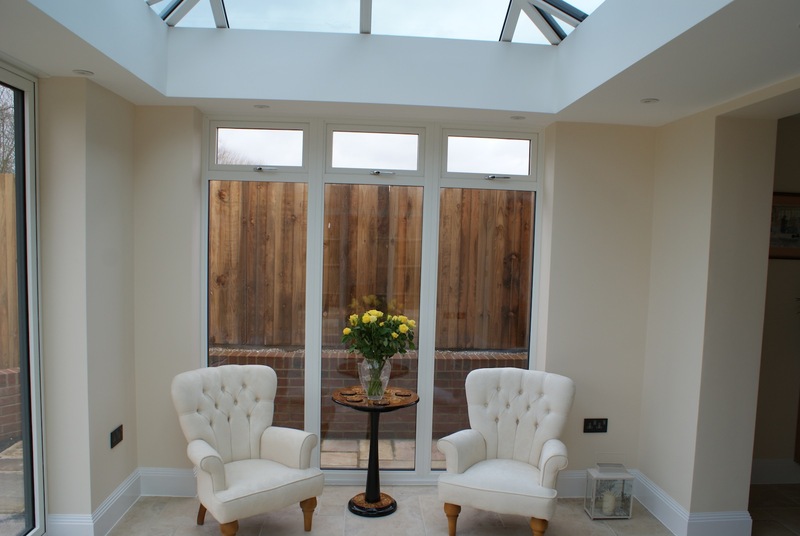 So, we then took over to design the new modern orangery side-by-side with the customer in our showroom. 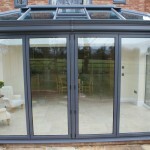 The customers were very sure on the design they were after, which always speeds up the design process. 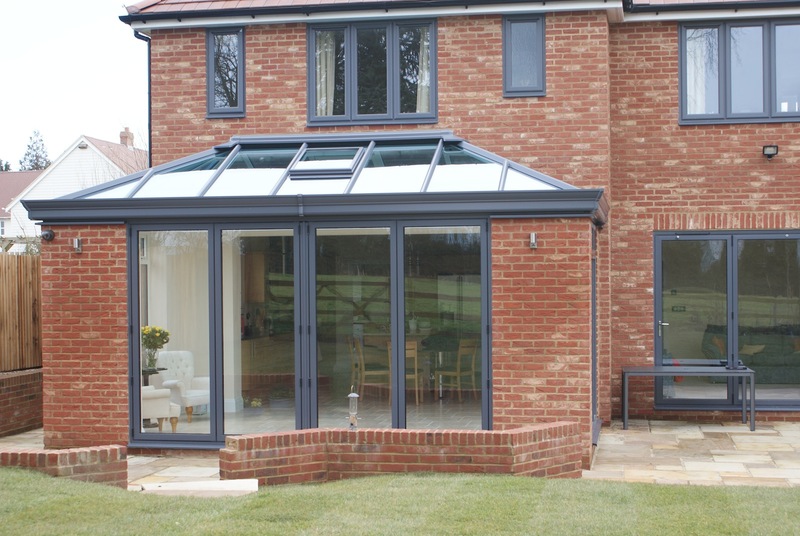 The priority was the look of the structure. 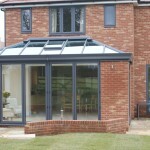 It had to feel like an extension, not a conservatory. 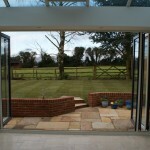 Therefore, the brick corners were a must. 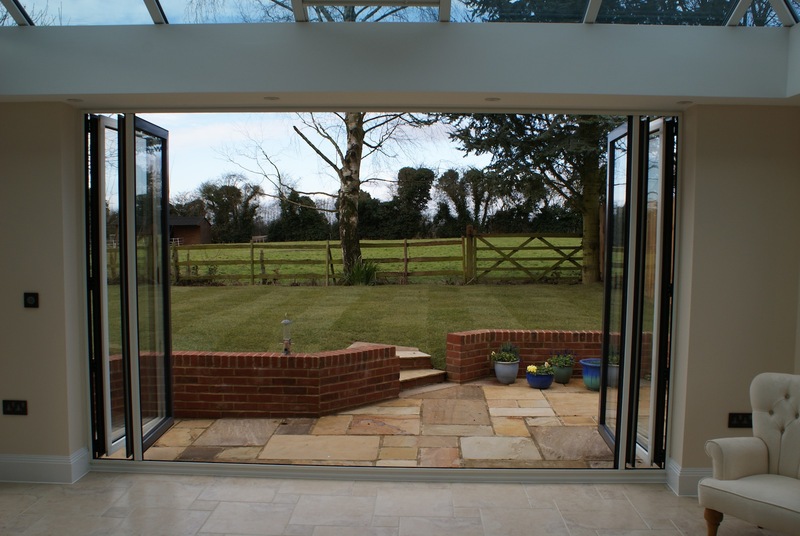 We designed the width of the overall structure and the aperture for the bi-folding doors to maximise the width-per-pane on the bi-folds. 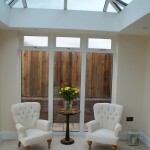 This was to maximise glass and light with minimal frame.